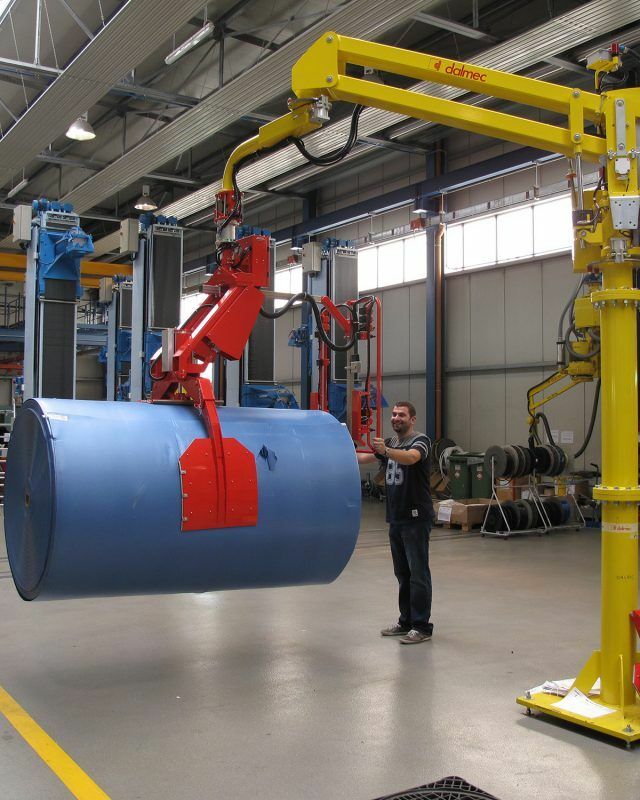 Manipulator for handling and lifting reels of insulating material. 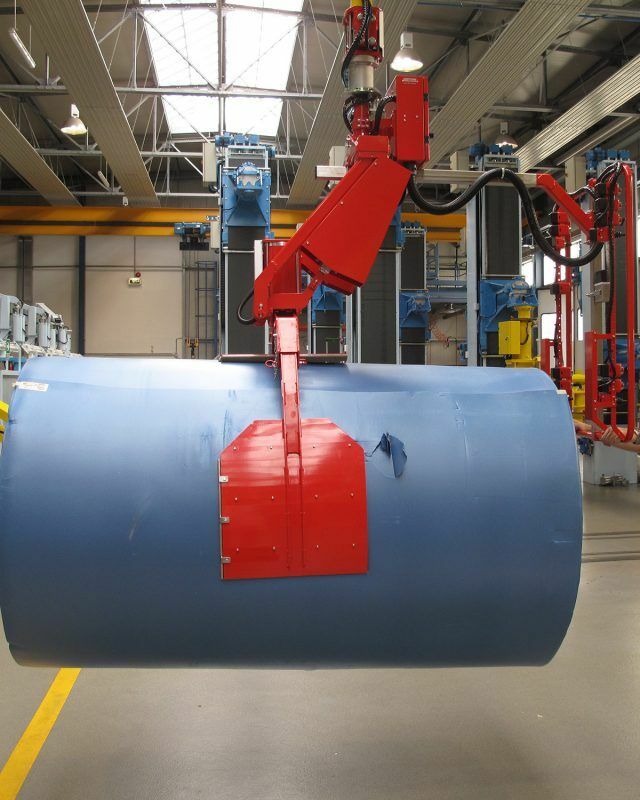 Dalmec manipulator Partner type, column mounted version, designed for handling reels of insulating material. The gripper tooling is provided with interchangeable jaws for handling reels of insulating material about their external diameter with different diameters and it is equipped with a pneumatic system for the 90° inclination. Hundreds of Dalmec manipulators are used for handling reels and bobbins in the leading industries all over the world. Our manipulators are equipped with different types of gripping devices able to lift, rotate and tilt reels of all sizes and materials with a weight from 5 Kg to 900 Kg. The Manipulator is also provided with lateral motorization of the column axis. 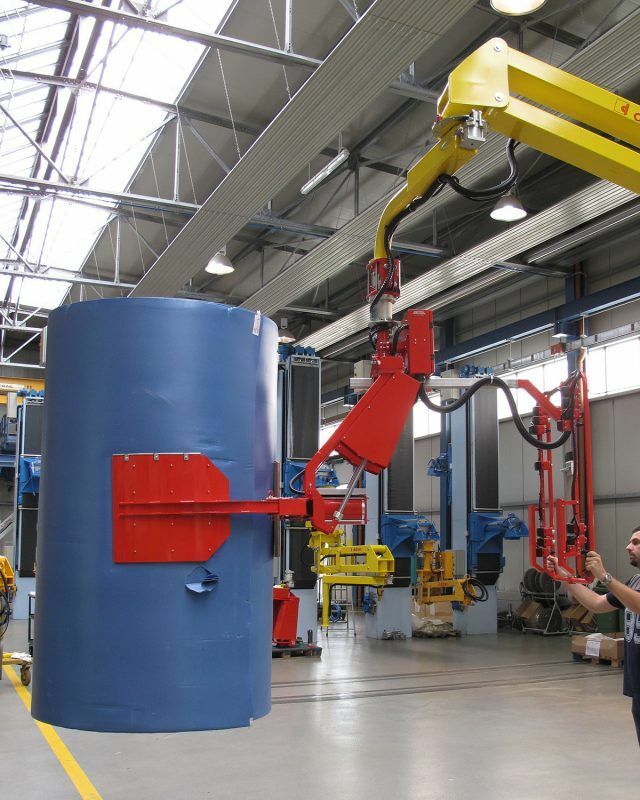 This device allows the rotation of the Manipulator around its own main axis, considerably facilitating the operator during the horizontal displacement of the load.